I’m not sure where to start, it’s been a hot sunny day here and I’m tired so watch out this could be a load of mindless wittering! Following on from my last blog post I had a message from the lovely Thomas of Scrap Vomit fame offering to send me some of his duplicate squares, funnily enough I jumped at the chance, he also asked that if I had any black or primarily black fabrics could I send him some squares. I lay in bed that night thinking about what fabrics I might have that fit into that category, I could only think of one. I made Bethan a twirly skirt out of a black cotton with a white spotty floral print (rubbish description I know), I don’t have a photo of the skirt (shocking? yes) and had to go into the loft to find the scraps. If you have any prints that fit Thomas’s requirements I’m sure he’d be delighted to hear from you – they only need to be 2.5′ square. Yesterday was my daughters school summer fete, last year I had my first ever stall and did really well so was keen to do the same again this year. I spent time over the last few weeks sewing up stock, making general preparations and mocking up the stall at home. Bethan announced on Thursday evening that she would like to help me out and wanted to teach people how to knit! She can’t knit with needles, Grandma has tried to teach her but it usually ends up with Bethan watching Grandma knit. However she has recently become an expert at French knitting after I bought her a knitting bee. She wrote a sign ‘children’s nitting this way’ ‘nitting competition’ (sorry there is no photo as it was in pencil and not easy to read! ), I tried to get her to think about what the competition might be and she didn’t really have much to say on that, she decided that she would show people how to ‘french knit’ and then let them have a go. Great, I thought, ‘they have to pay £1’ she told me! I suggested 5p and she agreed! I didn’t have a great many sales, but chatted to some lovely people, received lots of great comments (which is always a bonus especially when you’re not selling much!) and you never know what will come next. Bethan had a great time, off enjoying herself and drumming up business for her little enterprise, it was really so lovely to watch, she took it all very seriously and demanded payment first before showing them what to do! One girl offered to pay her 20p to teach her more another time, Bethan is very excited about this and was telling me she could go round to her house every Tuesday and Friday after school! I think I may have an entrepreneur on my hands! Maybe if she realises there is money to be made she might try harder next time with Grandma. So it wasn’t the best day, but the children had a great time (made easier as Mathias slept for at least 2 hours of it), pony rides, bouncy castle and far too many sweets! Come the evening, children in bed, Tobi cooking dinner I was relieved to collapse on the sofa and check my reader and emails etc. Oh my delight to read an email from Julie at The Intrepid Thread telling me that I’d won a giveaway of fat quarters from the Eleni Palette from Anna Marie Horner’s LouLouThi line – if you want to have a look, hop on over to Anna Marie Horner, just be warned you might be there for a while! To say I was pleased is an understatement, I’d planned that if I sold lots at the fete I would be able to go fabric shopping and already had a list in my head of what I might buy, I knew that was not to be but winning some was awesome! To top it all I left a comment to say thanks and how it was great to win such a lovely range especially as it contains a fair amount of orange, Leah’s favourite colour, Julie emailed to say she would see what extra orange bits she could find to add to my parcel! All you have to do is leave a comment on this post telling me what size cover you’d like and more importantly what colours you’d like included. It’s not difficult, no hoops to jump through just tell me what you want. 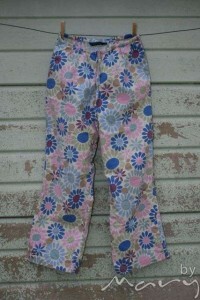 Do you know what if you want a selvedge one I could probably even do that! (If you’re not in the UK I guess I’ll need to check with you on sizes). Open internationally, I’ll close the giveaway in a weeks time, so Sunday 3rd July 10pm BST and I hope to get the cover made and off to the lucky winner within a week. Obviously if you choose black the cover you get won’t be that exciting! Hi Mary, your stall looked beautiful on Saturday – hope you didn’t get too sunburned! After we saw you we had a walk in the park to get Henry off to sleep and then I had to have a cool shower to cool down! I couldn’t have sat in the hot playground all aftenoon so kudos to you for that! Great post title! I was wondering what scrap vomit was! I’d love a cover in A5 size in reds and aquas! Will keep everything crossed now! What a lovely giveaway! I would like to win an A5 one please. I would let you choose the colours as I know it would be gorgeous and it would be a lovely surprise! Sorry to hear about your school fair experience. I always find them really difficult to judge. I bet you get lots of people coming back to you over the next couple of weeks wanting things. Thats what happened after my last school one. Love the quilt!! Love the blue/green one! I’d like an A5 in blue/green and maybe some brown? I’m thinking earthy themed! Oooo! I’d love a red and teal one, A5 please! Glad the fete went so well, and I love Bethan’s entrepreneurial spirit! Me too! I’d love an A5 in any bright color. I don’t mind if its red, blue, green or yellow so long as its happy. Hi I have just found your blog for the first time. 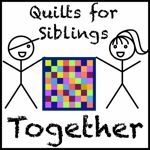 And now have lots of lovely ideas and links. 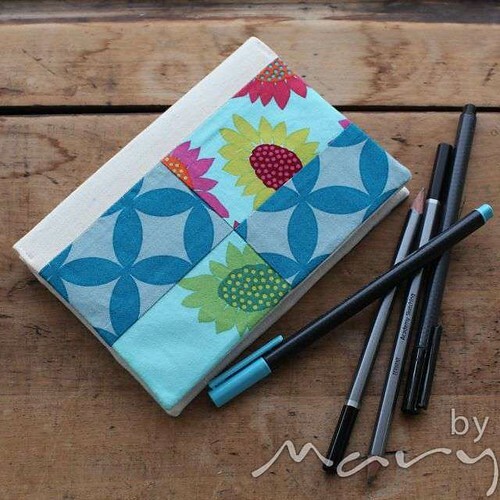 If I don’t win would it be possible for you to post how you make the fabric covers as my work day book would love a cover (A5) and I would have a go at making it one – currently it’s looking sad adorned by a tea ring as some lovely collegue stuck their tea ontop! 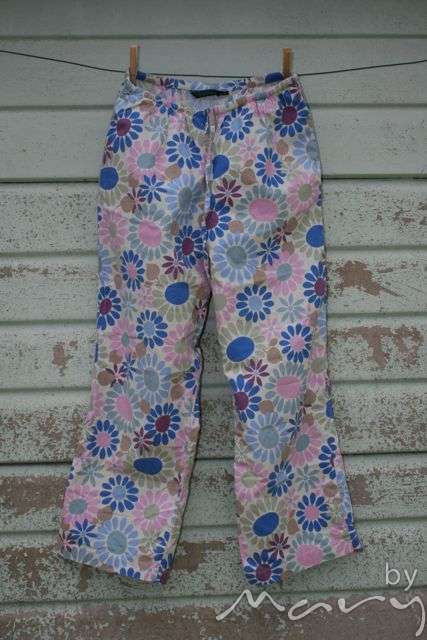 I will have to go hunting for scraps and the idea of picking clothes up from charity shop with a lovely pattern is a fab idea – I know where I will be this weekend. I would love to win an A5 cover in rainbow colours! Thank you for joining in my giveaway – yours is such a nice one! I like A5 notebooks, and my obsession at the moment is for red and turquoise, or any red and blue, really. What a lovely giveaway! I would love an A5 in yellows/ oranges or neutrals. Love the purse as well- will have to be braver with zips and try it! I would love to win any size notebook cover! I like blues/browns/turqoise. You do great work! I bet your stall looked lovely! If I was to win, yellow would be lovely, I think I am influenced by the comment above as I would usually say turquoise! ‘Scrap Vomit’ is my favourite patchwork look so I guess if I won your giveaway that would be my choice of colour (in A5). What an enterprising daughter you have – I’d love to get children knitting and what better way to start than with French Knitting to get them interested. And your clutch is great – I wish I had the vision to see a pair of trousers like that and think ‘clutch’!! Hi, I would like an A5 size cover. I found your blog twice now and really like the things you do. Thanks for the chance. I am loving the ‘scrap vomit’, sounds horrendous, but truly inspiring! Hello – what lovely goodies to show. Where on earth did the term ‘scrap vomit’ come from it should be ‘scrap-beautiful’ – it looks stunning. Love the notebook covers and would love an A5 in selvedges would be great. Thanks for your giveaway. ‘Nitting’ should be renamed! I much prefer it spelt that way! They’re all lovely as always, but a neat little A6 in anything at all would be wonderful! How lovely – what a clever lady you are. I’d love an a5 cover please in shades of blues and greens if possible. Thanks. 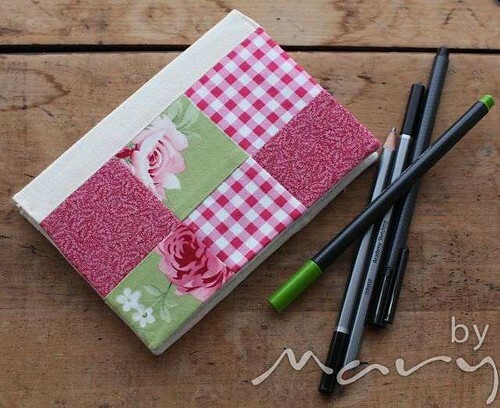 What a great way to jazz up your notebooks! I would a A5 cover, a selvedge cover would be brilliant but if purples if you decide against that! 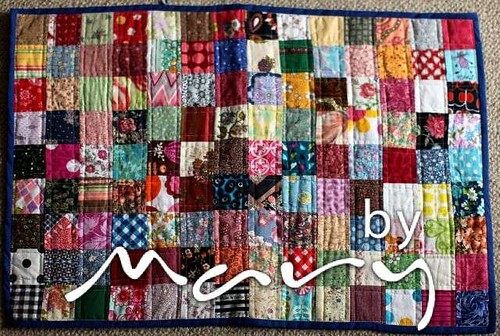 That scrap vomit quilt is awesome! And your kiddo sounds adorable! How awesome that she wants to teach others! The giveaway looks awesome and a selvage notebook cover would be so fantastic! Although my American brain has no idea what A5 and A 6 mean! LOL!! I would absolutely love a purple, lilac and rose coloured A5 notepad cover to adorn my forlorn looking pad! Would love a blue or lilac one size 8 3/4″ x 5 1/2 ” x 5/8″ thick. We use the book as our guest book and the cover is really quite boring and could use a pick me up. I love the term ‘scrap vomit’ I’ve never heard that before! And what a lovely giveaway. I think if I were to win I would choose and A5 cover, in either turquoise and brown, or pink and green – I never can decide between the two! inspired by your blog and giveaway spirit! Hello is it possible for an A5 vomit coloured one? Love your blog and the children’s backpack looks like something I should make in the future. If i win i’d really like an A5 boyish one. I’m making a scrapbook for my son to put in pictures of his family, friends and bits and bobs from trips we go on. A boyish cover for it would be amazing! 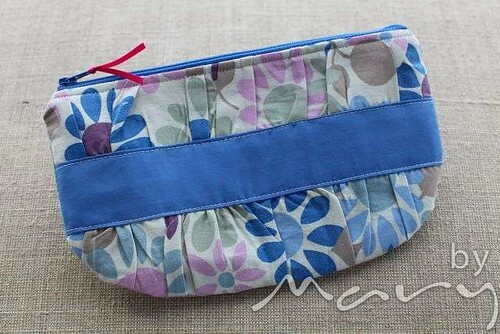 Thanks for the giveaway – your blog makes me want to sew!